Your feet and ankles are the foundation of your body so imagine the persistent feeling that your ankle is going to “give away” or actually having your ankle collapse under the weight of your body? Ouch! 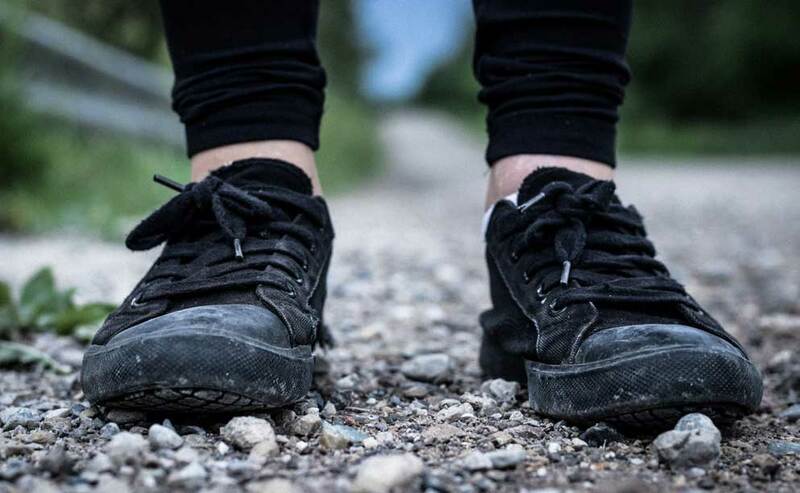 Sports podiatrist and founder of A Step Ahead Foot + Ankle Care Dr Brenden Brown explains, “Ankle instability is that uneasy feeling that your ankle is going to roll out, particularly when walking or running on rough surfaces. So what are some key points about ankle instability? In fact, 33% of people with first time ankle sprains go on to develop chronic ankle instability. You can’t cure ankle instability by doing nothing. Evidence suggests it’s very unlikely it will get better by itself. Stopping exercise or playing sports won’t alleviate ankle instability but could cause other negative health impacts. While many people underestimate the impact of ankle instability and simply don’t pay their ankles the attention they deserve, other causes include hyper-mobility (being double jointed), a very high foot arch and weak muscular control in a single leg. “When it comes to treatment, it’s important to note that it’s not just about the ankle – you need to consider the whole limb,” says Dr Brenden. “Unfortunately, there’s also the common misconception amongst many health professionals that a single style of treatment will make ALL ankle sprains better. This isn’t so; treatment should be tailored to the type of sprain. “Similarly, there’s the misunderstanding that wearing an ankle brace or taping the ankle will prevent ankle instability. Not so. “We’re finding that the entire leg, in particular the glutes and all the muscles above the ankle are more vital than we ever thought before. Aside from just focusing on the ankle itself, Dr Brenden says there’s a growing body of evidence to support strength work through exercise. This involves firstly identifying where the muscle imbalance is coming from and then performing targeted strength exercises. “I have a real problem with healthcare practitioners who only ever tell people with ankle instability to do calf raises. If you’re a tennis player, calf raises are inappropriate because you’re jumping side to side rather than raising the feet up and down. Footwear— A firm base and firm heel counter (we’re talking good quality trainers) is important while the ankle is unstable. Orthotics—There’s a sound body of evidence that suggests looking at foot posture can be helpful. Over use of the muscles can affect the way the foot moves and, if left untreated, this can lead to ankle instability. Ultimately, poor ankle stability can lead to a chain reaction of injury so it’s important to talk to your local podiatrist to find out the best method of action. A Step Ahead Foot + Ankle Care is one of Sydney’s leading foot and ankle clinics. Principal podiatrist and founder of A Step Ahead Dr Brenden Brown (AKA Dr Foot) has been taking care of people’s feet for more than 20 years. With a background in sports medicine and having served as a former president of the Australasian Podiatry Council, Brenden is a wealth of information when it comes to foot and ankle care. Or simply tune into our Facebook page for regular live videos and updates on the latest foot and ankle advice from the experts.